As 2018 comes to a close, we’ve been busy contemplating some of the key interior trends for the coming year. What with Pantone announcing the ‘colour of the year’ for 2019 and the transition from Winter to Spring, art trends are bound to take a turn and at Art Basket, we like to stay ahead of the curve. What to look out for in 2019. In 2019, Pantone’s ‘colour of the year’, Living Coral, is expected to make an appearance in interiors around the country. A lively, vibrant hue, which celebrates our natural world, pastel orange and pink shades will make any interior sing. 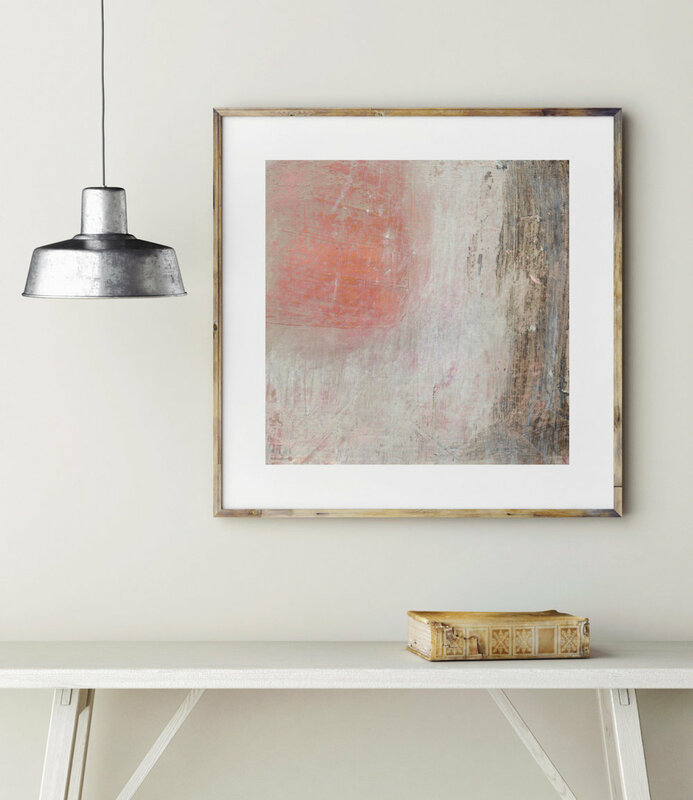 If you’re not sure how you can incorporate Living Coral into your scheme, abstract art that uses coral and orange shades is an excellent place to start. Kierstie Masih’s abstract prints are the perfect example of artistic and adventurous use of this colour. 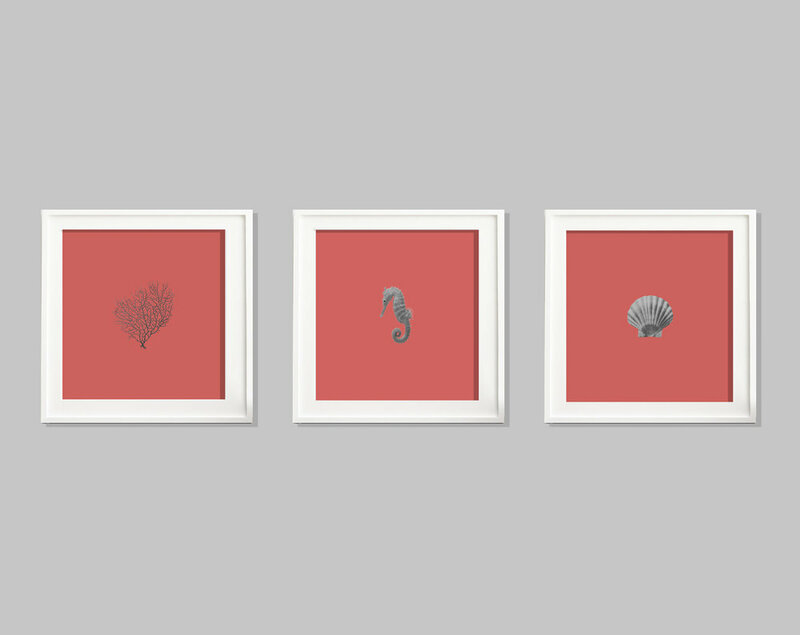 If you are looking for something a little subtler, using coral as an accent to compliment a more muted palette can give your interior a breath of fresh air. Courtney Bae's simple, figurative gouache paintings are perfect for a more simplistic scheme. As the weather starts to improve, interior trends are set to mimic the changing of the season. At Art Basket, we’re preparing to bring the outside in, with floral and botanical patterns set to be hugely popular in 2019, as well as seascape and landscape scenes. Krista McCurdy’s cyanotype botanical prints are a vibrant and energetic reminder that the you truly can enjoy nature from the comfort of your own home. Using real plants to create stunning pieces of art, Krista’s art will fit right into any interior this Spring. We are also a huge fan of Robbie Chapman’s nature-inspired impressionist landscape and seascape paintings and giclée prints. Another interior trend that is set to continue over from 2018 is line art. Simple, figurative paintings and prints will certainly be in keeping with the Scandinavian ‘Hygge’ trend taking over homes. Felipe Chavez’ simple monochrome prints tie in perfectly with this movement. We also can’t take our eyes off Courtney’s figurative paintings and, for more of a ‘countryside’ feel, Sean Briggs’ animal sketches. This coming year, constellations are going to be taking over home. Star wallpaper, rugs and, more importantly, artwork will fill interior spaces. Give your home a little magic this Spring, with our Art Basket constellation posters.